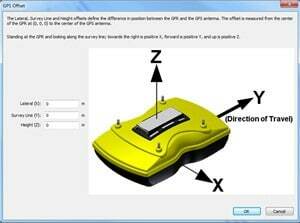 Software is an important component of Ground-penetrating radar (GPR). 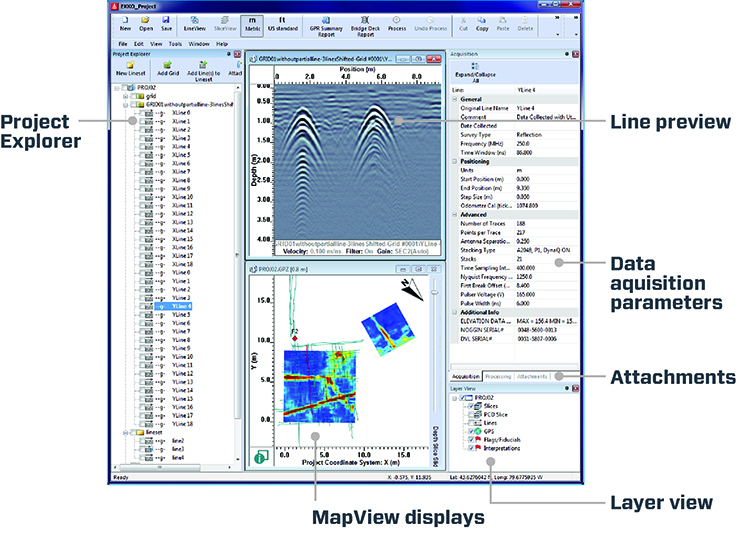 Advanced applications require processing and the ability to display data in a variety of forms. Sensors & Software team of experienced Ground-penetrating radar professionals are constantly developing analysis tools and adding to our unique range of software packages to support our GPR systems. 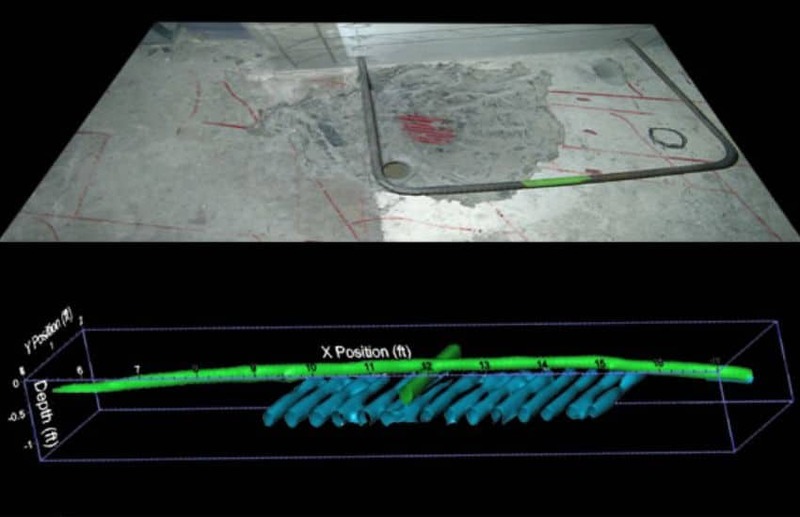 The EKKO_Project software makes complex GPR analysis easy with intuitive tools to organize, edit, process and plot your Ground-penetrating radar (GPR) data. Powerful visualization, analysis and integration tools allow you to quickly and easily produce impressive reports. The reporting capability outputs interpretations and other information into consumable formats such as PDF, spreadsheet (csv), Google EarthTM (kmz) and CAD (dxf) files. Less time spent organizing, editing and processing means more time to analyze and interpret the data, extract valuable insights, and provide superior deliverables to your clients. For existing software owners, an affordable upgrade path is available. Contact your sales agent or representative for more details.